Contact me when you want an attorney who cares about your interests. You can expect zealous representation based on attention to detail and the highest standards. We will work closely with you and keep you informed as your matter progresses. You will promptly receive copies of all important documents affecting your life, liberty, and livelihood. Clients set their objectives; the good lawyer knows strategy and acts on it; contact me for action. Click for Video. Specializing In: Divorce, Custody, Wills & Trusts, Probate, Contracts, Business Law, Civil Litigation, Criminal, Family Law, and Most General Law Matters. Click for Practice Areas. Our historic office building is located in downtown Brighton MI (Champ's is next door and Stout is across the street). On-site client parking available in back of our building. Attorney, paralegal, and notary public's on staff. Rates are reasonable and explained. Contact me for legal action. I'll fight for you! Click for Contact Form. Click for our Law Blog. 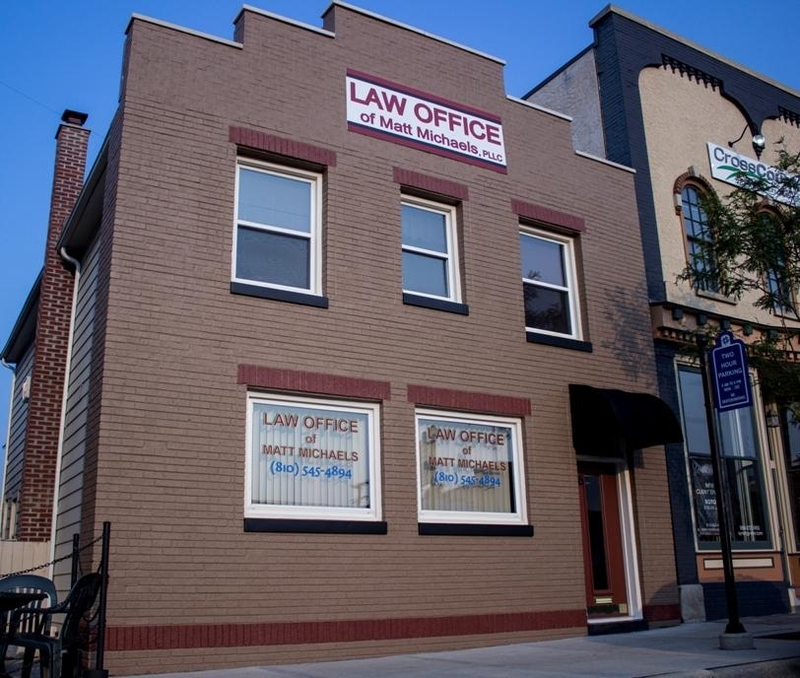 Click for Google street view of law offices. Click to see-inside law offices.